Back in 2009 i Jumped over Lake Taupo NZ this was one of the most terrifying and peaceful experiences i have ever had. It was above and beyond anything i have ever experienced before and i wish to spend my life doing this every day. On Thursday, 7th November 2013, wingsuit pilot Dan Vicary opened a new exit point from Lovers’ Leap in Glenorchy, New Zealand. This exclusive video follows the preparation and delivery of a world first. Following in the footsteps of Red Bull NZ legend, Chuck Berry, Mr Vicary originally base-jumped from this same location in 2009, opening his parachute after 2 seconds. He has spent the last 4 years jumping fulltime and waiting for wingsuit technology to progress to enable him to return and open the area for wingsuiting. Located in the South Island of New Zealand, Lovers’ Leap is a highly technical BASEjump with the exit point 650 metres above the valley floor. 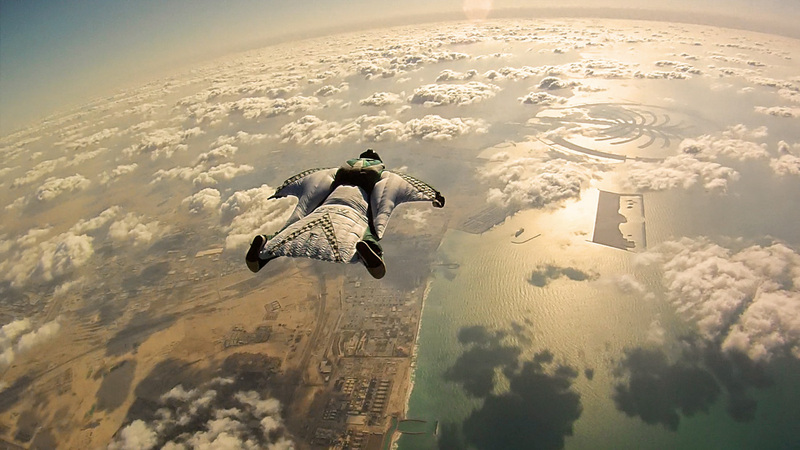 It features a short ‘rock drop’ of only 4.5seconds or 110m, by which time the wingsuit must be flying forwards; followed by a sharp right turn to avoid a ledge. It is not for the faint hearted. However, those who dare are rewarded with a spectacularly visual flight through some of the most picturesque terrain New Zealand has to offer. i guess basically peacefull is the best way to describe it, if i have a bad day and im upset about something the one thing that i can count on as soon as i leave an aircraft all that is gone and im stuck in that second moment of free fall, and its never failed me, i guess thats it. to me freefall is happiness. for 9 hours a day make you feel alive? before you cross the street it can be a safe sport. Id just like to start my blog by giving my condolences to the families of those who have passed away due to the sport.